/ business / What is the best way to translate a website to Spanish? What is the best way to translate a website to Spanish? Globalization opens doors to international markets, and the Internet is an interconnected global network. Therefore, if you want to expand your company, your website is an excellent supporter. For your development to be successful, it is essential to professionally translate a website to Spanish and you need to hand over the translation of your site to skilled Spanish translators. Indeed, a well-written page will inspire more confidence than a page littered with mistakes. Why would you translate a website to Spanish? So, hiring a translation agency or professional translator is the best way to translate a website to Spanish. At ISO Translations, our translators will help you translate your site into Spanish, build credibility and attract new clients by producing quality work. With extensive expertise in the field of website localization, ISO Translations provides you with services that meet high-quality standards. Whether you want to develop your business in Spain, Latin America or another part of the world, we always assign your projects to website translators from the target market. They also adapt the content to local culture and adjust graphics elements if needed, because colors are not seen continuously in the same form everywhere. 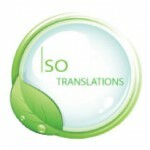 Our translation agency offers the website translation services you are looking for. 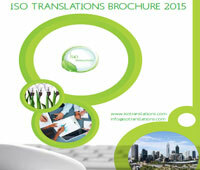 Why Do You Need Professional Website Translation Services? When it comes to translating your business site into another language, you can’t be too concerned. Maintaining your brand image while engaging equally to the public across different and mixed cultures is a balancing act. Assigning this service to automated machine or an amateur company leaves you helpless to disputes that can harm your relationship with your customers, and ultimately, your bottom line. Website language translation requires an expert not only in a particular language but also on the topic on which your site is based. We match your website translation needs with the translator best-suited to meet those needs, ensuring your customers across cultures and the globe receive the same information. The move to an overseas market can be complicated, but translating your site shouldn’t be. We have hundreds of linguists ready and able to translate a website to Spanish. While automated or machine translation services may work for large volumes of content that do not reflect your company’s brand or image, such as discussion forums, the quality of this kind of output is subpar for professional websites. At ISO Translations, we can assist you to translate a website to Spanish where quality is vital and assign them to expert translators with the professional background to catch the style and language differences of the text. Translating your website is about more than merely allowing users of other languages to understand your content – it is about engaging them. It is also about sustaining your corporate status and culture with an international team. We advise you to take a look at some of our past work, consider the global brand experience of some of our past clients, and contact us today for a free website translation quote now.